Indianapolis is so beautiful. 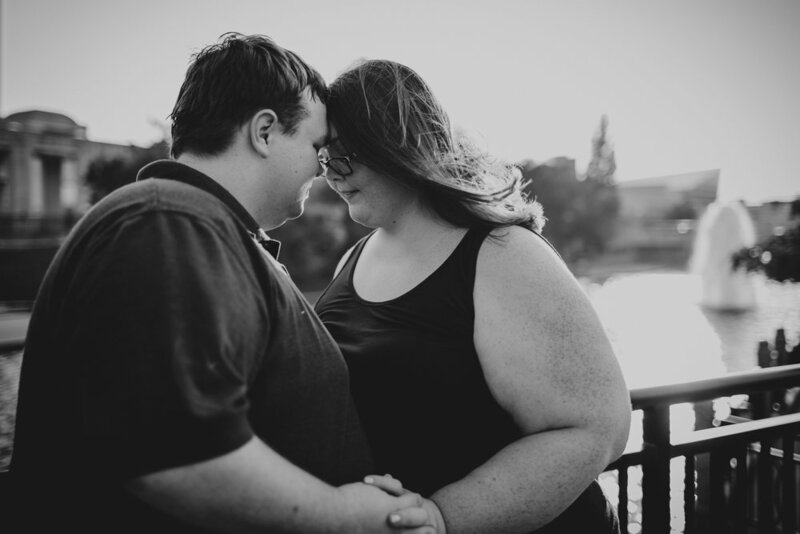 <3 For Cassondra and Josh's engagement session, we spent some time walking along the Canal in downtown Indianapolis, and the city did not disappoint. 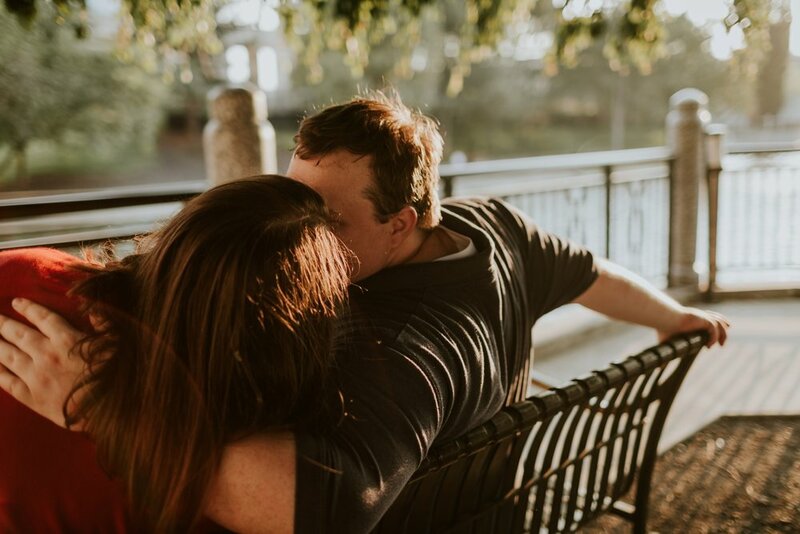 The sun was shining beautifully, the water glistened, and these two cuddled up and celebrated their engagement. They shared that they bonded over their mutual love of Harry Potter, so of course we had to incorporate some HP love into the photos. I can't wait for their wedding at Apple Works this year!